Well, hello, November!! Can you believe that we are only weeks away from Thanksgiving. 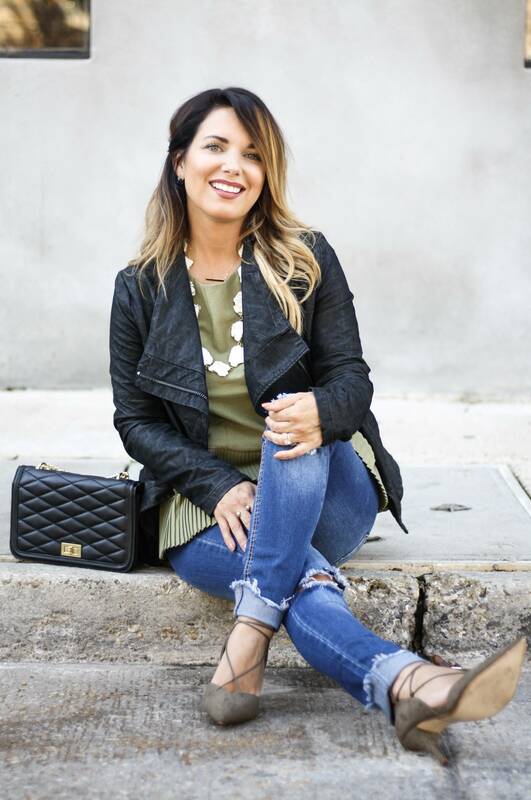 Before I start planning outfits for all of the holiday events, I just enjoy the many ways that the cooler weather allows us to spice up a basic pair of jeans. My favorite way to style those basic jeans would have to be an oversized sweater and booties. But, I also love to spice up those jeans with a pretty top, moto jacket and pumps. And, lastly, I adore the super casual look with a basic tee, cardigan and my Vans. 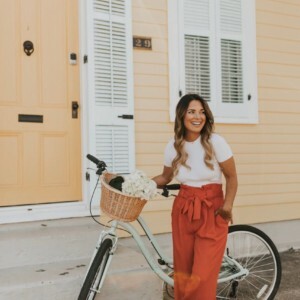 While on the subject of style, myself and 49 other amazingly talented bloggers were featured by Southern Living as Southern Fashion Instagrams to Follow Now. 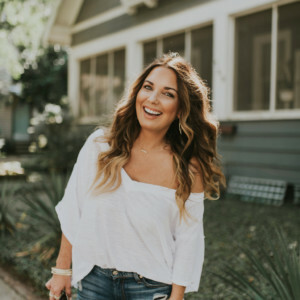 It was such an honor to be included with so many other ladies that truly inspired me to begin blogging. This field is over saturated with thousands and thousands of gorgeous, super stylish babes. I never thought that I would ever reach the growth and the connections that I have developed. This process has taught me to appreciate all of the hard work that others invest to build their brand and all of the diversity that this industry has to offer. I am not in competition with anyone. We are on the same journey to share our passions with ordinary people (normal in society, rather than people who are considered to be important). So, THANK YOU, Southern Living, and THANK YOU, friends (near and far) and family for showing Dashing Darlin’ support and encouragement. It truly means so much to me. NOW …it’s time for a fabulous giveaway! I’ve teamed up with an amazing group of bloggers to give YOU a chance to win: $500 in PayPal Cash for the holidays! Love this. The one with the leather jacket is my favorite! Great post idea! Love how you cuffed your jeans too! Both such amazing looks, and green is your color gal! Beautiful as ever! I usually don’t opt for denim pants but I love these looks on you. The leather jacket look is my fave. 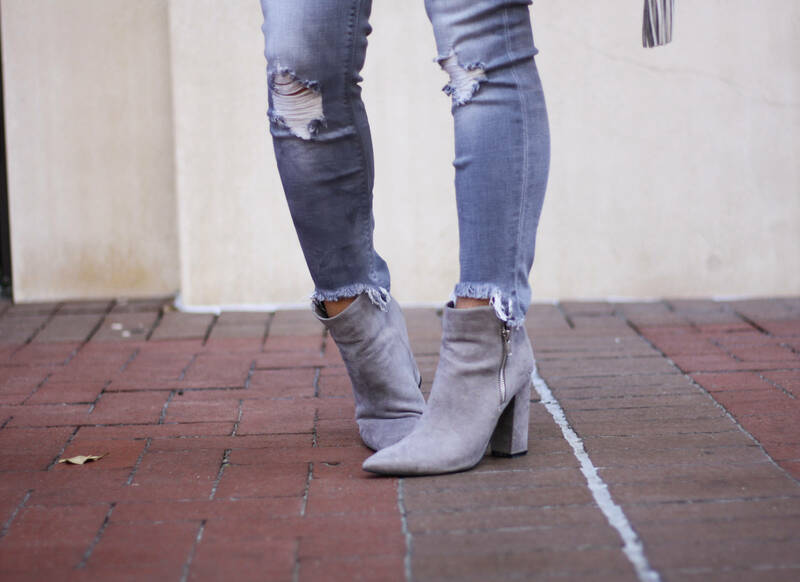 LOVE the frayed hem on those jeans! Is this contest advertised below your blog with the 500. cash giveaway for real. There are so many post that declare there is a give away, they make me question. That lace up sweater is my absolute favorite!!! Oh my goodness! I love you in both looks. That oversized sweater is fab but the green top is gorg too! So versatile to dress up or down. I need that leather jacket! So happy for your recognition from Southern Living! Your gift really is taking you before Kings! Congrats, friend! Love these looks! So fun! You look like PERFECTION and I’m dying over your hair!!!!! Pinning to how my stylist!! gah. Can’t get enough of this post. Love everything about this post. Those are some amazing outfits. Where is that pointed toe shoes from? They look very chic. Love your blog. Following. I’m dying over your shoes and bags in these posts. Also, everyone is wearing that sweater in blush, I love that you’re rocking it in grey! I love all of these looks! Nothing beats a cozy sweater with jeans! Congrats on the SL feature!! And loving that grey lace-up sweater, so pretty! Love these fall looks! The lace up sweater is my fave, so cute!! I love every outfit! You styled them perfectly, so adorable! Eeeek, i’m obsessed with all of these looks, but the lace up sweater is my favorite! What fun ways to style jeans! I love both os those looks but I LOVE the frayed hem on your jeans, did you do that yourself? For a fashion blogger myself, I am the worst at styling jeans! You did a great job and I love that green top!